Cars, planes, trains, buildings, castles, sculptures, ships, spaceships, and even working robots are just a few of the many things that can be made with Lego bricks. High production quality and careful attention to detail ensures that Lego pieces can fit together in myriad ways, which is one of the main reasons for the toy's success. 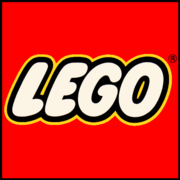 The Lego Group had humble beginnings in the workshop of Ole Kirk Christiansen, a poor carpenter from Billund, Denmark. Ole Kirk started creating wooden toys in 1932, but it wasn't until 1949 that the famous plastic Lego brick was created. The use of plastic for toy manufacture was not highly regarded by retailers and consumers of the time. 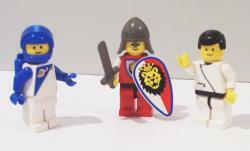 Many of the Lego Group's shipments were returned, following poor sales; it was thought that plastic toys could never replace wooden ones.